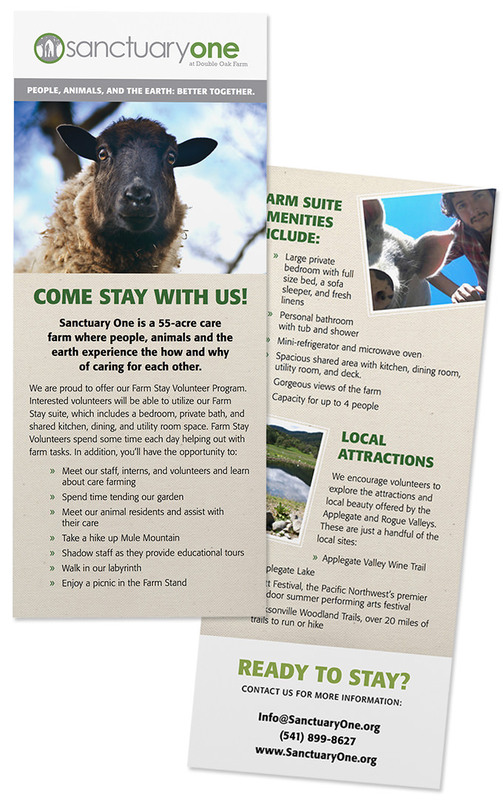 Established in 2007 and located in the Applegate Valley of Southern Oregon, Sanctuary One is the nation’s first non-profit care farm. 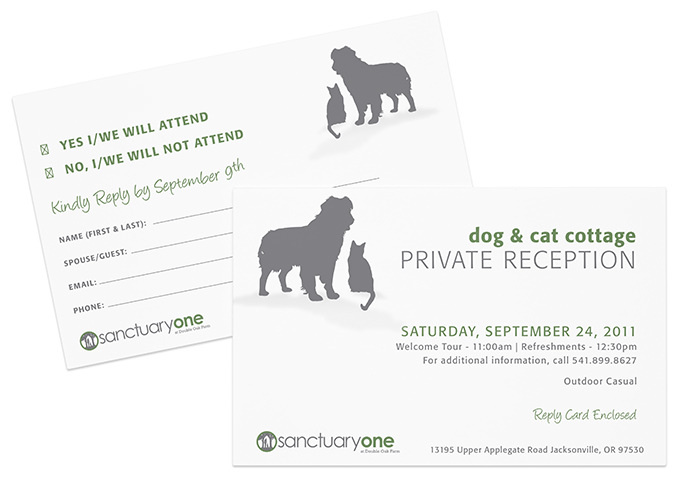 Their mission is to provide a refuge for animals and a healing place for people while promoting environmental stewardship. 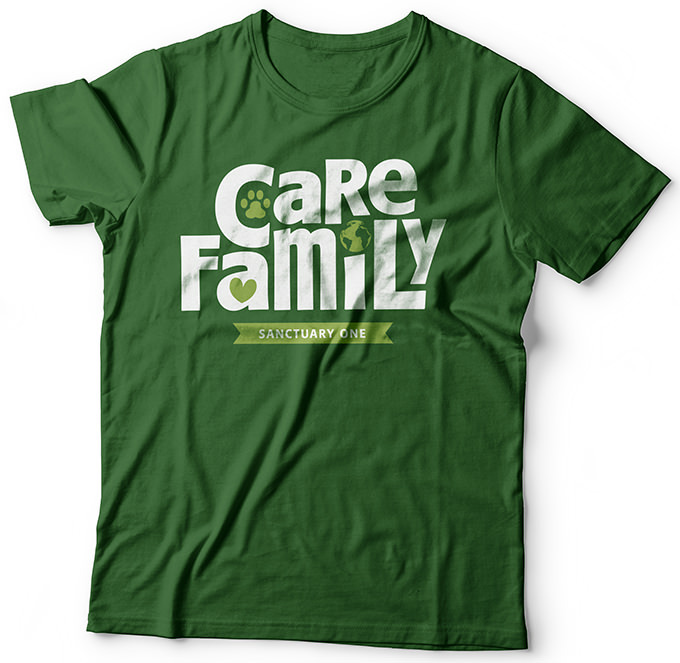 In short, they believe that animals, people, and the earth are better together.  Sanctuary One provides a safe haven to rescued farm animals and house pets, including elderly, disabled, chronically ill, and emotionally traumatized animals who may never be adoptable. 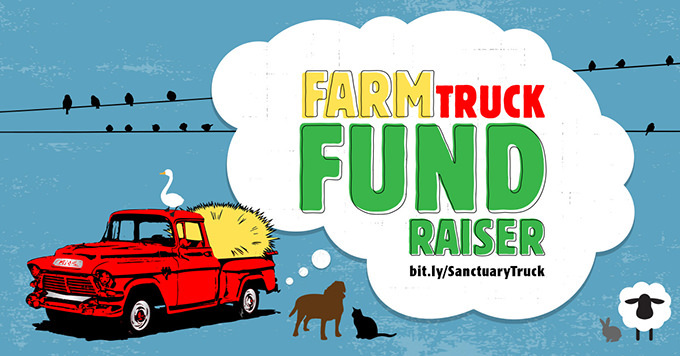 Employees, volunteers, and interns all work together with the animals to provide a healing place for all. 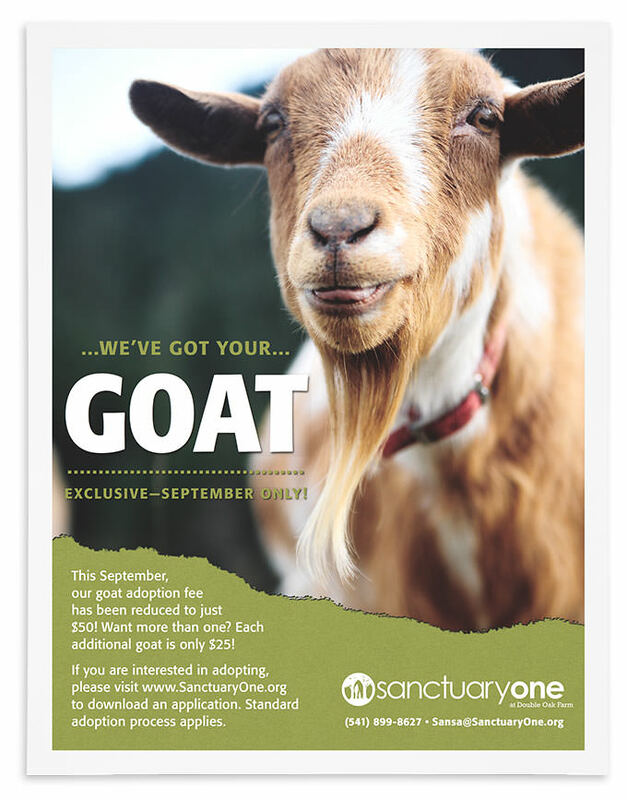 Work for the Sanctuary is ongoing work and has included social graphics, postcards, flyers, ads, newsletters, rack cards and annual appeals. Thank you so much for your expertise, insights and amazing design skills, all of which help us make a big impact with a great return! 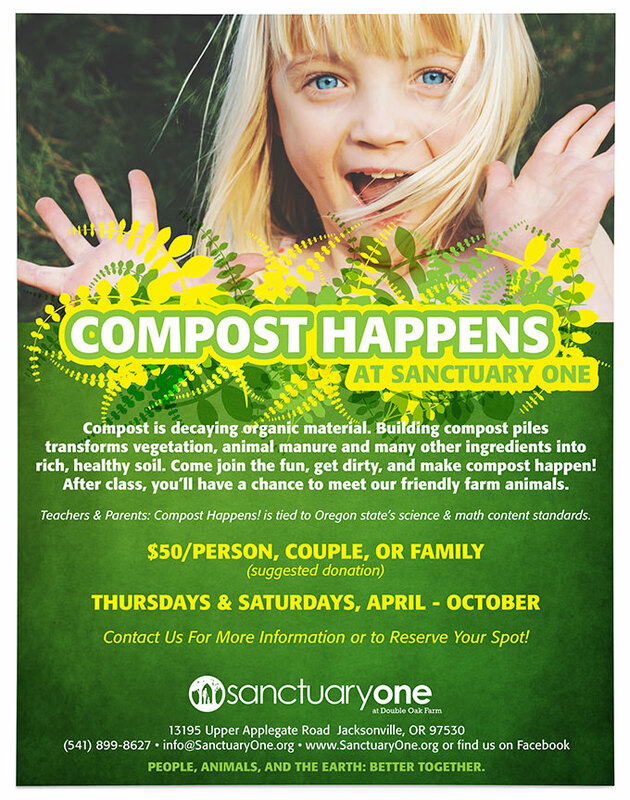 We are so grateful to have you as part of Sanctuary One’s family!